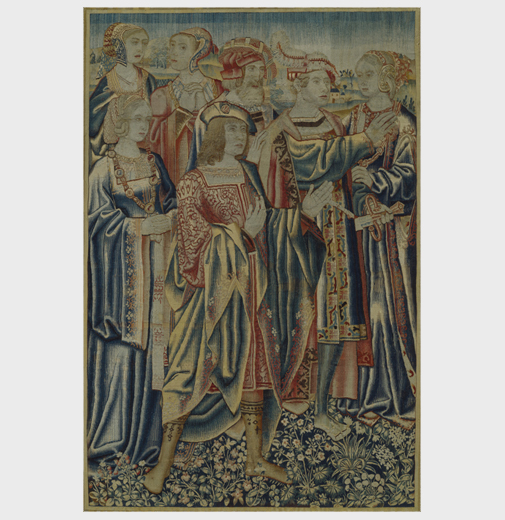 Title/Series: Courtly Figures in a Landscape; fragment of early Renaissance tapestry perhaps related to the story of the Virtues and Vices or the Prodigal Son. Dimensions: 6 ft. 8 in. x 4 ft. 6 in. 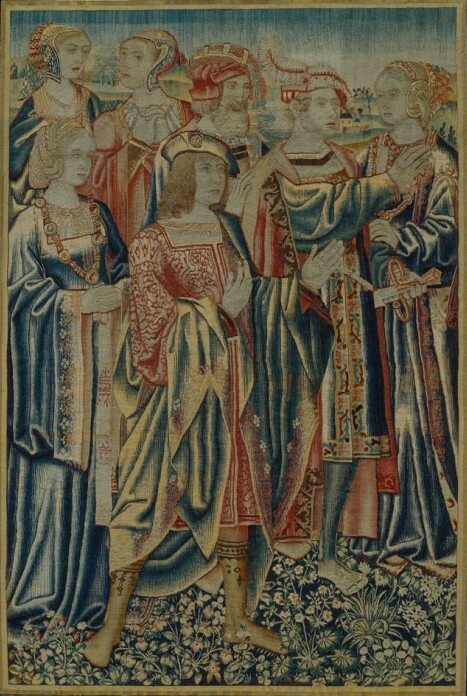 During the first quarter of the 16th century, tapestries that depicted complicated stories frequently related the plot by organizing the figures into vignettes of primary and secondary importance, each scene telling part of the story. This group of seven elegantly dressed figures standing in a flower-filled landscape was once part of a larger tapestry that could possibly relate to the story of Virtues and Vices or the tale of the Prodigal Son.